Caroline Carver who was brought up on a dairy farm. At 18 she headed for the bright lights of London and four years later took a holiday in Australia which turned into a ten-year stay, working for the Sydney arm of several major international publishers. Between jobs, she travelled widely and adventurously: back-packing in South-East Asia on $10 a day for nine months, walking in New Zealand, trekking in Nepal and riding a camel through the Thar Desert are just a few of her travel experiences.Her first novel Blood Junction won the CWA Debut Dagger and was selected by Publishers Weekly as one of the best mystery books of the year. 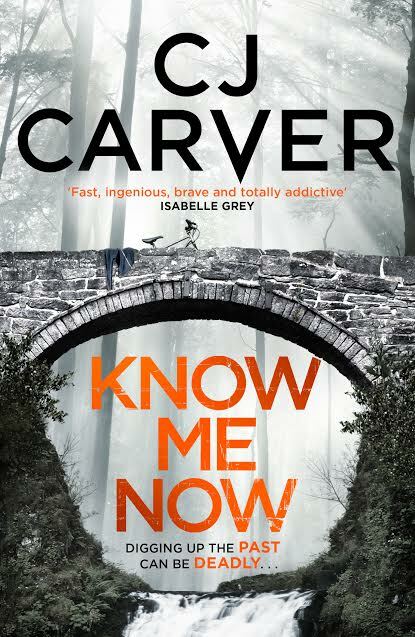 Her latest book is Know Me Now. 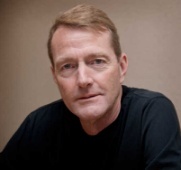 Lee Child who was born in 1954 in Coventry, England, but spent his formative years in the nearby city of Birmingham. By coincidence he won a scholarship to the same high school that JRR Tolkien had attended. He went to law school in Sheffield, England, and after part-time work in the theatre he joined Granada Television in Manchester for what turned out to be an eighteen-year career as a presentation director during British TV’s “golden age.” During his tenure his company made Brideshead Revisited, The Jewel in the Crown, Prime Suspect, and Cracker. But left in 1995 at the age of 40 as a result of corporate restructuring. Always a voracious reader, he decided to see an opportunity where others might have seen a crisis and bought six dollars’ worth of paper and pencils and sat down to write a book, Killing Floor, the first in the Jack Reacher series. Killing Floor was an immediate success and launched the series which has grown in sales and impact with every new installment. He is married with a grown-up daughter. He is tall and slim, despite an appalling diet and a refusal to exercise. Mike Ripley, the author of 21 novels including the award-winning 'Angel' series of comedy thrillers and one of the few authors to win the Crime Writers' Last Laugh Award twice. From 1989 to 2008 he was crime fiction critic for the Daily Telegraph and then the Birmingham Post, reviewing over 950 crime novels and co-edited three volumes of 'Fresh Blood' stories by new British writers, including Ian Rankin, Lee Child, Ken Bruen, Charlie Higson and Christopher Brookmyre. He was also a scriptwriter on the BBC's series "Lovejoy". Professionally, he read history at university, trained as a journalist and went into public relations, working for the Brewers Society in London. Currently he writes the monthly "Getting Away With Murder" column on www.shotsmag.co.uk and for The Guardian newspaper. 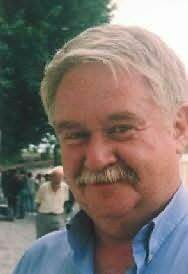 He is the series editor of the Ostara Crime and Top Notch Thrillers imprints, rescuing and reviving crime novels and thrillers which do not deserve to be forgotten. He completed the third Albert Campion novel left unfinished on the death of Pip Youngman Carter (husband of Margery Allingham) in 1969. "Mr Campion's Farewell" was published in the UK and he has continued the Campion series with two further books. 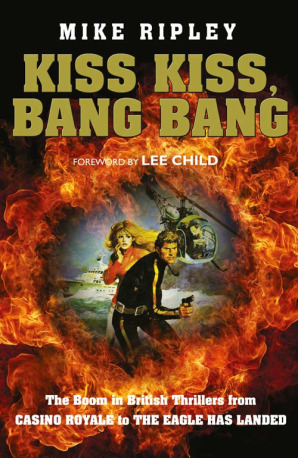 His latest book is Kiss Kiss, Bang Bang. Zoë Sharp was born in the Nottingham area but spent most of her formative years living on a catamaran on the northwest coast of England. Zoë went through a variety of jobs in her teenage years. In 1988, on the strength of one accepted article and a fascination with cars, she gave up her regular job to become a freelance motoring writer. She quickly picked up on the photography side of things and her photo-journalism took her as far afield as the United States and Japan, as well as Europe, Ireland and the UK. 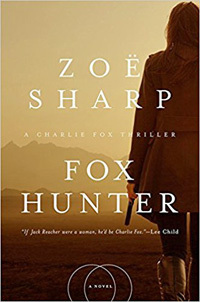 She is now a full-time fiction author and creator of the Charlie Fox series of crime thrillers. There are now twelve books in the series, Fox Hunter being the most recent. Zoë lives in the English Lake District. Her hobbies are sailing, fast cars (and faster motorbikes), target shooting, travel, films, music and reading just about anything she can get her hands on. Jake Kerridge has been the crime fiction critic of the Daily Telegraph since 2005. He agrees with Julian Symon’s view that nobody should be a crime critic who doesn’t feel a quickening of the pulse every time the postman delivers a new parcel of books. He has interviewed many crime writers and was once described by P D James as ‘that nice man’ and by George Pelecanos as ‘that guy standing over there.